Discussion in 'MSI AfterBurner Overclock Application Discussion' started by Unwinder, Feb 20, 2017. ZAMHome, Vidik, DaRkL3AD3R and 7 others like this. Like to thank you again , for trying out RTSS 7.2.1 build couple day's ago , the profile switch, did the trick . Upgrade to b2, it doesn't change anything for your specific issue (Wolf2), but it is newer than initial 7.2.1 you've got. This may sound dumb, but after installing RTSS 7.2.1 B2 my fonts seem smaller, any clues? Font size variable slot 250 was used to define smaller font for own status only, now it is allowing to alter default font size and color. Alter it in the layout editor. toyo, The1 and Vulkan like this. So all I should do is change the variable slot 250 from 80% superscript to 100% superscript? Sorry for the dumb question, thanks a lot for taking the time to answer, love both Afterburner and RTSS, keep up the good work! Yep. Or just delete it from layout. 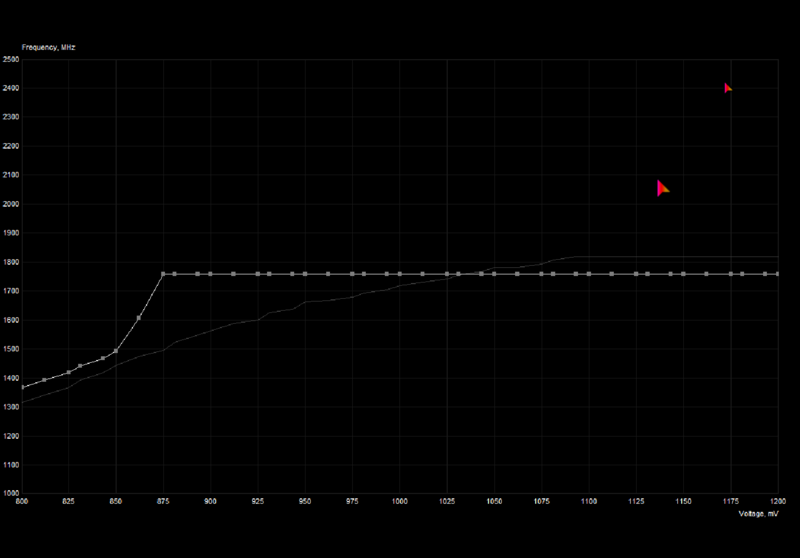 What do you think about adding a feature to update the V/F frequency curve in (close to) real-time outside of the OC scanner mode (as long as the V/F curve editor window is open)? 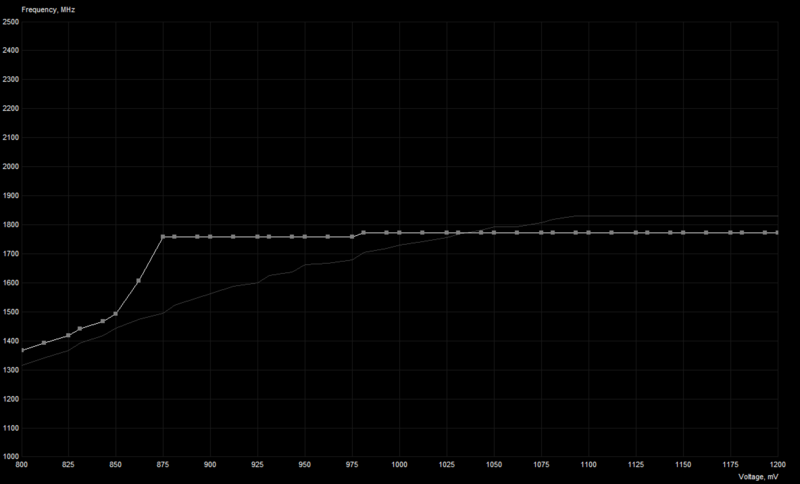 Then it would be possible to see when GPU Boost 3.0 changes the base curve due to thermal changes, etc. without having to click Apply to get the curve to update. I think it would help reduce user misunderstanding like the following post, because I was also seeing the V/F curve jump around when clicking Apply and I thought it was a bug in Afterburner before I did some research and read through this thread to understand that it is just how the underlying NVAPI/GPU Boost 3.0 works, and what was really happening was the base curve had changed since the last time I had clicked Apply and the V/F curve was read out. Ive found an annoying bug in MSI AB with custom clock curves, which is present for a while, isnt fixed in latest beta. I have saved a custom clock curve to undervolt my GPU with it. The bug is, that it randomly gets altered (shifted) on the flat curve I have set in the back area, with high chance when starting AB. I am noticing this, because I am monitoring vcore in games via RTSS. Whenever I see, the vcore isnt the desired 0.875V at max boost, I toggle out into AB, press ctrl+F and see, the curve is altered. I then toggle back and forth several times the profiles, until checking ctrl+F and the curve is the one I desire, change back into game, and it is working again. Clicking the profile and apply doesnt work most of the time. The broken curve still stays. Doing it a bit back and forth and somewhen it is working again and checking vcore also is correct 0.875V in game with RTSS. It would also be nice, if you could export curve profiles into a file you can import again easily. For example, in your video example here, at 0:37 when you hit apply, the V/F curve changes. It makes it seem like increasing the core voltage slider made the V/F curve change, but in reality, the base curve changed some time ago due to the increasing temperature, but it doesn't become visible until hitting apply. I think it would be nice to be able to see when the GPU changes the base V/F curve in (close to) real-time when running a bunchmark. Like I said I feel like this would make it much more obvious to users what is actually happening. Thank you for the work you do on Afterburner and RTSS. Automating V/F curve editor window refresh is a bad idea, it will make curve adjustment really troublesome if you try to adjust some V/F point offset and base curve is auto-altered when you're dragging the point. However, adding base curve refresh via some keyboard shortcut (e.g. F5) can be useful. cookieboyeli and The1 like this. Yeah, you are right that it could be very annoying if it updates when you are trying to edit the curve. I think a keyboard shortcut would be a good solution. Thanks! Also, I noticed some weird behavior in the V/F curve display when updating the curve even when the temperature is stable, so base curve should not be changing. I'm guessing the NVAPI is enforcing some limit on the maximum frequency delta between consecutive voltage points? But the thing that seems wrong to me is that instead of enforcing this in the offset values, the "base curve" which is drawn (dark gray line) also changes and is very weird looking. Is this a bug in AB or a limitation of the NVAPI? If you would like I can make a separate thread about this. I used an extreme example here to make it noticeable but I've had this type of behavior happen even when making smaller offsets. I think this behavior is another factor that sometimes makes the V/F curve editor feel "buggy". Vulkan and cookieboyeli like this. Almost correct, NVAPI is correcting specified offsets to make final curve monotonically increasing and apply smoothing if necessary. Also, you're misunderstanding "base curve" (dark grey line). It is not a real offsetless base curve, which is not readable via NVAPI, it is final curve with offsets subtracted from each point. It is not intended for anything but seeing the points where the offsets are applied. Thanks for the explanation, that makes sense. So the conclusion is that all of the weird behavior is on NVAPI's side. I wish the API was more transparent about how GPU Boost 3.0 is working internally, but I guess we can only work with what we've got. I've been contacted by Bastian @ BattlEye yesterday on this issue. Your guess is correct, currently BE is closing any tool including AB if it is using user mode MMIO for low-level GPU access. We're discussing it now and will see what can be improved. For now the only option is switching low-level hardware access interface to kernel mode in AB properties for such games, if BattlEye is closing MSI AB for you. BTW, it is not happening for everyone, NVIDIA users do not need low-level hardware access at all as NVAPI provides absolutely everything that any OC tool may need. Low-level mode is only used on AMD systems to implement some things like voltage control and extended GPU monitoring, which are not exposed by AMD ADL API. When commenting this issue in different forum, I found that I seem to forgot to implement kernel mode hardware access interface codepath for Vega GPUs in MSI AB So enabling it on such platform will cause bogus readings of HMB temperature, GPU power and GPU voltage. So for Vegas low-level hardware access interface should be disabled instead of switching it to kernel mode in MSI AB properties to bypass BattlEye problem. Extended hardware monitoring (HBM temp, GPU power and voltages) and voltage control will be disabled in this case. I'll add support for kernel mode hardware access interface on Vegas in the next beta. Haldi, eGGroLLiO, Andy_K and 1 other person like this. @Unwinder good morning, We are almost at the end of 2018, when will be available the final version of Afterburner? When it is done. Stop that please. chevy350`, cookieboyeli and knuckles84 like this. § Added new variables to “Separators” property node. Now you may define independent separators for the graphs located on top of text part, for the text part and for the graphs located on bottom of text part. Stay tuned, and Merry Xmas! P.S. For those who are lazy to read changes list and will try to ask questions about fan control support for AMD Adrenaline 2019 drivers family: no, it is not supported yet. AMD still have not provided updated ADL API to AIC partners. Haldi, freshnfruity, Virus_Inc and 13 others like this.